Grade garden stakes play a critical role in any outdoor gardening/landscaping projects. 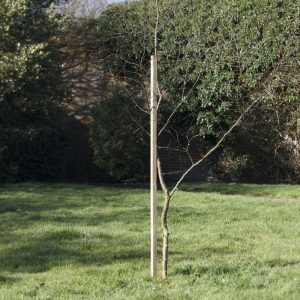 Whether you are building a new planting climbers, or propping up trees, these wooden stakes are indispensable. At Sheds to Last, we provide high density, durable and pointed stakes that are easy to use on any project. The smooth finish gives then an attractive natural look and you can write or paint them effortlessly. We specialise in strong, pressure treated stakes. Our stakes are cut from matured wood to help prevent warp or cracks. If you want to mount signage, or mark landscape features, our stakes are the best option. You can use them as multipurpose stakes for growing plants in your green house or supporting weak or bending trees. We offer these stakes as an eco-friendly option compared to PVC, plastic or metal stakes. With us, you can be assured of high quality products made and delivered in Devon and the entire UK. Our wooden stakes don’t need replacement once you install them. When you choose stakes from Sheds to Last, we offer you hefty discounts with every bulk order. We have wooden stakes from soft woods and they have been treated to last. Our stakes can withstand harsh weather, insect attack and water damage. Ask us to provide stakes that match your project, and we will deliver. We are ranked highly in Devon for the supply of top quality wood stakes. Check our product portfolio on our website, and we will help you make an informed purchase choice. Enjoy multipurpose timber stakes from us; we will offer value for your money.